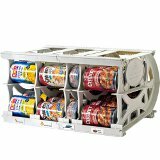 Cooking With My Food Storage: Get $500 of Shelf Reliance product at half price. 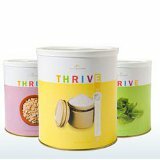 I often hear from my readers that they would like to be more prepared but that food storage and emergency products can get pricey and seldom go on sale. Does that sound familiar? Well here is your chance to create your own sale. In July, when you host a Shelf Reliance party you will get more than just host benefits—you’ll also be eligible for an additional product at half price, up to a retail value of $500! What could you buy this July at half off? A Sun Oven for $164.99 (retail price is $329.99). That is a screaming good deal! · Host a traditional party—invite friends over, try some samples, learn a little about food storage and emergency preparedness. I am available for in home parties in Northern Utah and Southern Idaho. · Host a catalog party—take catalogs to your workplace or around to your neighbors, collect orders and turn them in. · Host an online party—I’ll supply you with an e-mail/blog post telling them about Shelf Reliance and explaining how to order from your party. You can also post on your blog, facebook, and twitter. If you are excited to build up your emergency supplies at ½ price contact me (heather@teamshelfreliance.com or 435-535-1470) and schedule a party today.